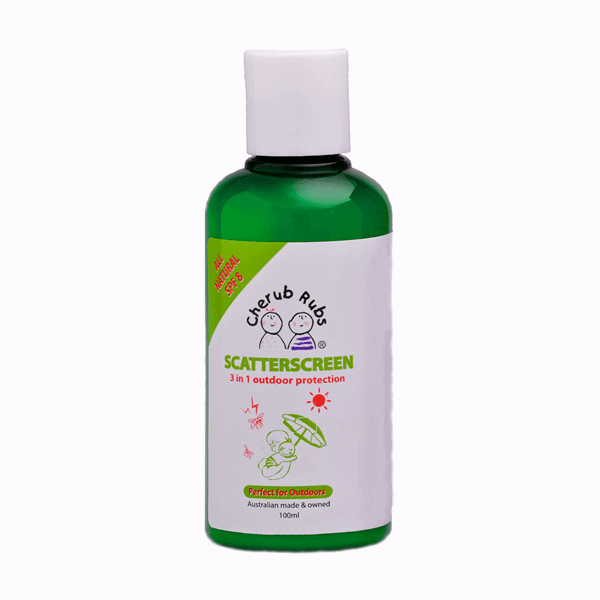 Cherub Rubs Scatterscreen 3 in 1 (100ml) is a gentle, all natural and non greasy 3 in 1 outdoor skin protection! It contains organic Aloe Vera to moisturise the skin, lemon Eucalyptus to annoy the mozzies, Zinc Oxide and Titanium Dioxide offers natural protection against UVA and UVB. Great all in one protection for your little cherub! 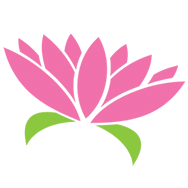 *Aloe Vera Juice, Titanium Dioxide, Zinc Oxide, Rice Bran (Oryza Sativa) Oil, Hamamelis Virginiana (Witch Hazel) Extract, *Glycerine, Rapeseed Acid, *Helianthus annuus (Sunflower) Oil, Parfum, Xanthonomonas campestris (Xanthan Gum), Prunus amygdalus dulcis (Sweet Almond) Oil, Eucalyptus Citriodora (Lemon Eucalyptus) Oil, Hydroxyethyl Cellulose (Plant Fibres), Lavandula angustifolia (Lavender) Oil. *certified organic. Notes: Due to the high concentration of organic ingredients there may be some variation in batches. 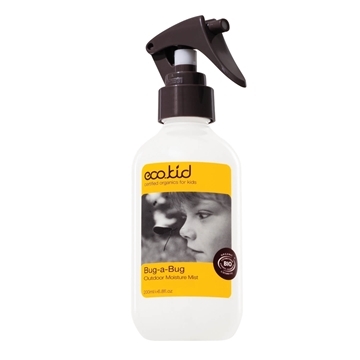 So good to find a repellent that is gentle on bub's skin and good to know it has sunscreen in it too!